Reverting to previous version not working!! Are you referring to your JotForm titled "Rainmaker Campaign Wizard"? I see that there are several changes made today to this from from the the revision history. Could you please check the revision history of the JotForm by following the guide How-to-View-Form-Revision-History after clearing the browser cache? Let us know if the issue still persists. We will be happy to look into this issue further. Hi there - I have cleared my browser cache and already know how to access reverted versions but the version I am trying to revert to is not showing when I go to my edit screen. I made significant updates to the form and am pretty frustrated that I cannot get the version to show up - please advise! I see that you have also sent us a request through email and the JotForm seems to be reverted to your last edit with 35 updates by one of my colleagues. Please check and let us know if the issue still persists. We will be happy to look into this issue further. I still cannot access/retain the version I need. I have cleared out my cache and have logged off and back on more times than I can count. The reverted version I need had a page 22 and 23. The images at the bottom of the form that are showing now (on page 22) are not supposed to be there. Another question is how do I navigate out of the Revert page back to the regular menu. Once I select a version I want, the first page comes up but I cannot tell what has happened on the rest of the form to see if it is the correct one. I see no option for navigating away from that page and when I fill out the form, nothing happens when I select submit. We apologize for the delayed response and any inconvenience caused. 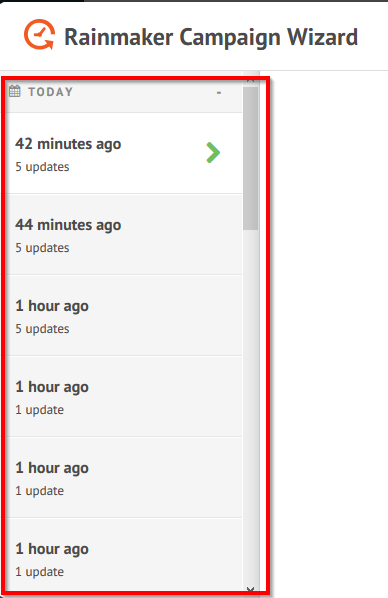 If you click on the "List of Changes" list on the right panel, it will show also the details of the changes. Were you not able to use this to properly select the saved point you wanted to get back to? Let us know if this was the issue. I understand the frustration and you wanted to start all over again. But perhaps you can minimize the work done, by just reverting to specific saved point and then just start revising from there. Let us know what is not working on the current form you are working on, and we will assist you resolve the issue. I did all that you have highlighted above but was not able to revert back to the version I needed before some crazy things started happening with the form. I have started over and am saving and logging off after each section of changes hoping this will safeguard the changes I am making. I did see the list of changes for each version but the descriptions were a little too broad for me to associate the label with the exact changes I made to rules, conditions, parameters per field, placement, additions, etc. Also, I found that the scrolling bar would not extend to the end of the list of change descriptions but stopped at the end of what I was able to view on my screen. I appreciate the reply but not of this helped me reach the resolution I was seeking. I understand your point also. We appreciate your feedback about the feature. Our higher ups will be reading these also. Actually you can do this.. use the scroll mouse device though. You had to scroll it. OR the keyboard down arrow.. Please don't hesitate to contact us anytime should you require further assistance.